I am super super excited to be able to do this blog post. I absolutely love the idea of swapping a product with another teacher/blogger/TPT seller and using it in my classroom. 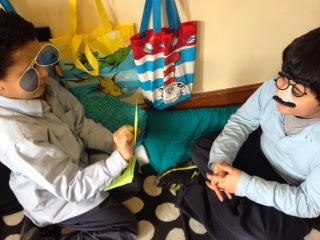 We get to review wonderful ideas and activities that we have all put tons of effort in. I got to pair up with the wonderful Charlene from Diamond Mom's Treasury. 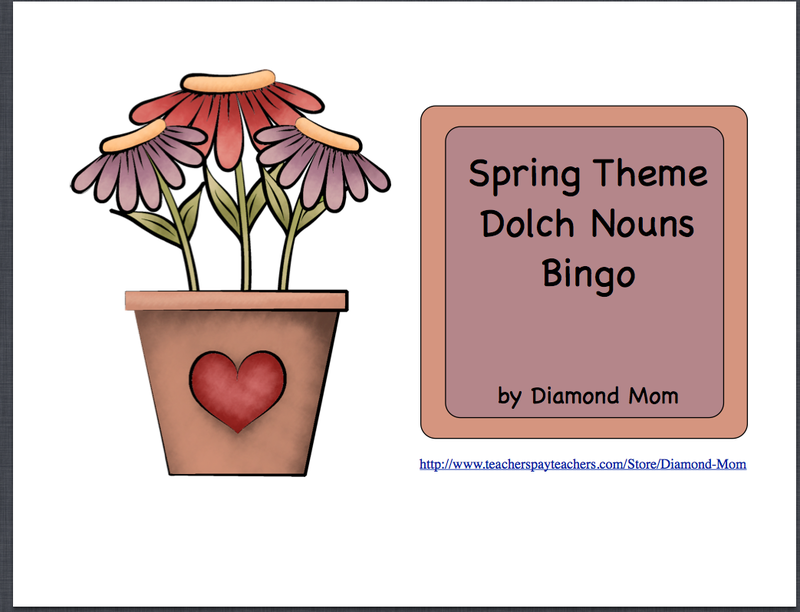 I used her Spring Theme Dolch Nouns Bingo in my class. It came at a perfect time because it was used as a review for both sight words and nouns. 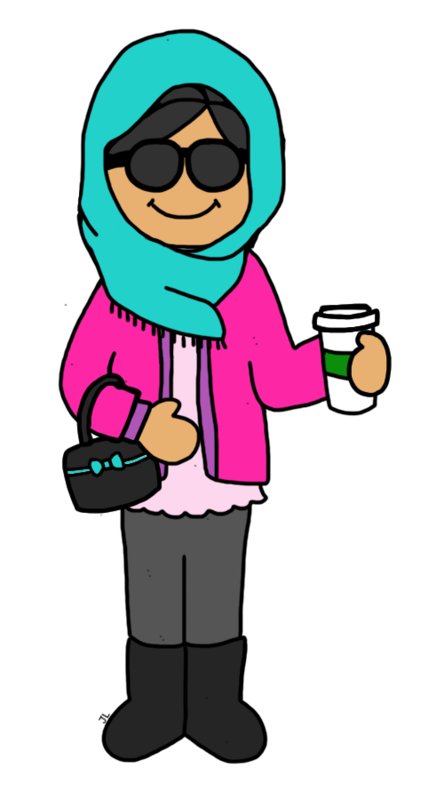 We are just working on adjectives at the moment, and since adjectives describe nouns, I got to incorporate her product into what we are working on seamlessly. This product includes 95 Dolch nouns and 3 sets of bingo cards. 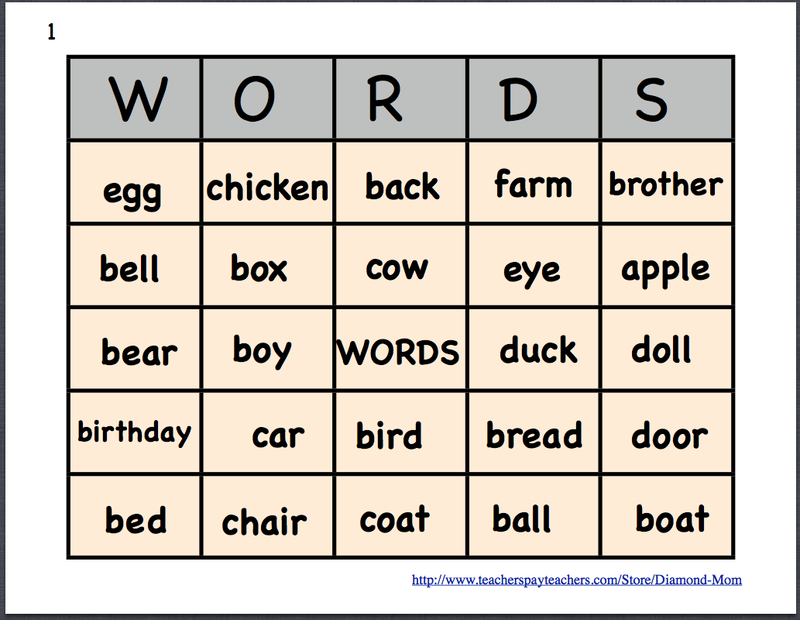 You can use this activity for bingo or just task cards for individual, small group, or whole group practice. 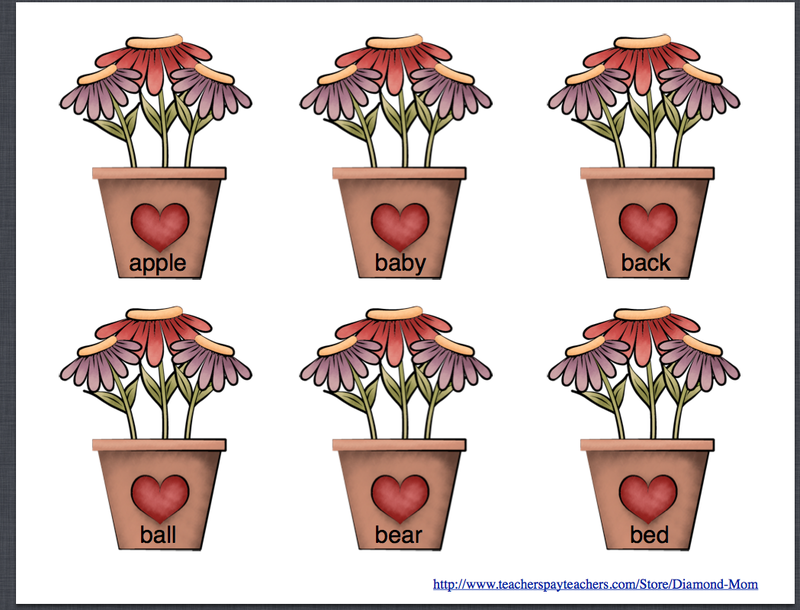 The pictures below are from the Set 1 Dolch Nouns that I used in my class for Bingo. Unfortunately, I didn't have access to a color printer to print out the bingo cards and the words like she has them, but I got to use colored copier paper, which turned out nice as well! I copied the Bingo cards (there are four different Bingo boards for each set of the Dolch nouns), onto four different types of colored paper. I copied the words onto green paper and then cut them out so I could use them later for task cards. Since there were 4 different bingo boards and I had 27 kids, I was thinking that if I go too slow, many of them would call out Bingo at the same time. 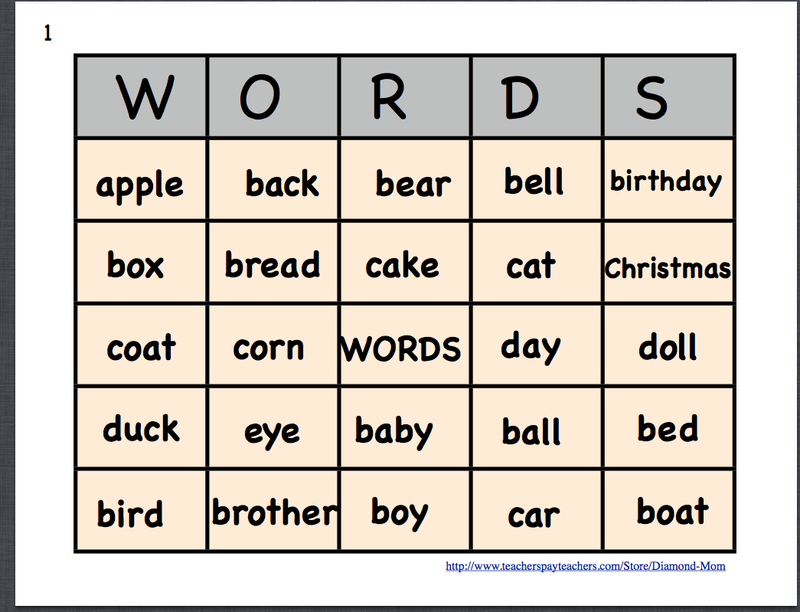 So I "upped," it a notch and said this is speed sight word bingo. I was going to randomly go through my green cut out list of nouns, but would say them pretty fast. The whole point was to "sight," these sight words as fast as they could. The first person to call out bingo would win that round...the prize was the coveted scented sticker! Who doesn't want a peppermint scented sticker!?! I actually always find it endearing and amusing that all my students every year, boys and girls, loveeeeee stickers. Going at a faster speed allowed students to have to scan their board pretty quickly and be able to identify all these nouns. Also, this allowed one person to figure they had Bingo and call it out first. They loved it so much, they got me to play it 4 times in a row! As an extension while they were playing, or after one round, I would call out a noun and have students give me an adjective to describe it. Perfect time for a quick assessment and review. Later, I had students work with each other and use the cut up word cards with partners. They had to hold up the noun card and their partner had to read it as fast as they could and do it correctly. They also had to give an adjective that described that noun as well. These two boys were playing together and were having a blast. Say hello to Mr. Cool Sunglasses and Mr. Mustache. Kids really had a great time during the Bingo game. It was a quick, engaging review that could be used for multiple levels and concepts. Charlene's product helps them identify and solidify the concept of nouns and also make sure they are able to see and read them quickly. One girl said, "This was so fun even though I didn't win." Good sportsmanship!! She was awesome enough to include Set 1 for you guys as a freebie! But I think after you play it, you may want to go back and get the rest of the sets in her full product on TPT. I'm definitely going to be using it again. 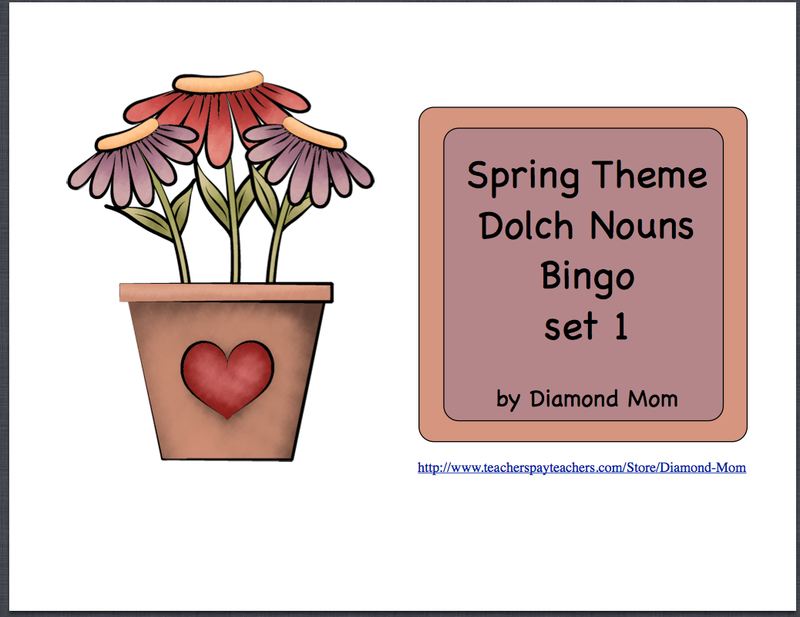 Click on the first picture to take you to the Google Docs for Set 1 of the Spring Theme Dolch Nouns Bingo. Click on the picture below to take you to the full product. Also, don't forget to enter the Rafflecopter below to win all the products in this Trade and Grade swap!! 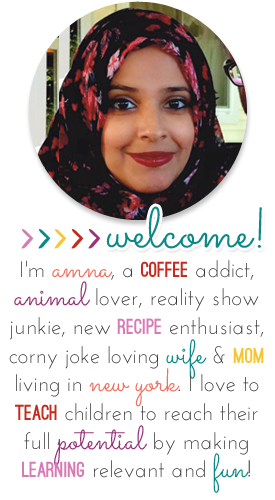 Wow, Amna! 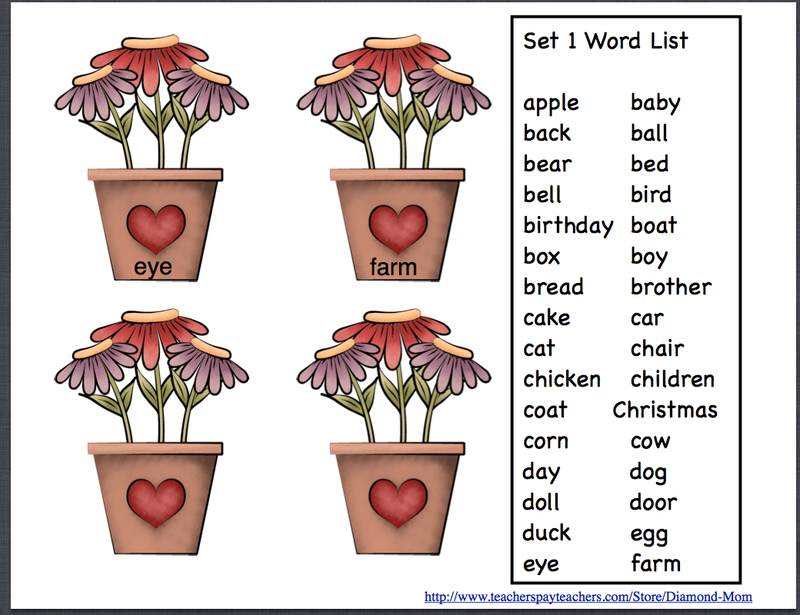 I never thought about using this for speed sight words. I love how you meshed adjectives and nouns together. We are doing parts of speech now and I will have to borrow your idea. Thanks for the great review. The first reason to use Zulu4me’s ranking is because it is freeZulutrade performance. You do not have to pay to use our ranking,Zulutrade alternative you just need to create a Demo Account in Zulutrade through us.Zulutrade strategy This way, you do not need to study more than 20.000 traders,Zulutrade competitors you just need to study 20 or 30 traders. Finally, if even knowing that a personal assistant will help you,Zulutrade competitors you are still not sure about Zulu4me advantages,Zulutrade wikiyou should continue reading this post.